We never forget who we are working for. Helping you achieve your goals is our top priority! I had rotator cuff surgery in March of 2011. I was fortunate to have both a great surgeon and a fantastic physical therapist John Esguerra. As a retired Chiropractor, I know the importance of good bedside manner. John is a natural, always positive, pleasant and very knowledgeable. He always knew just how far to push me and how hard to make me work. At times it was very uncomfortable but John was always compassionate and I felt very comfortable with him. His office manager Lisa, was always cheerful and helpful. With John's knowledge, personality and ability as a Physical Therapist and Lisa's beautiful smile and personality, I know you are in the right place to get well. I am confident in his ability to help others as he has helped me. I would recommend John Esguerra as a Physical Therapist to anyone who needs rehabilitation. You will not be disappointed. He is fantastic! I found Lea to be a great therapist to work with. She explained everything she was going to do and why she was going to do it. Lea also explained what would be beneficial to do at home and while out among "pedestrians". She is gentle but firm touch and has a pleasant personality. She's very encouraging too, when she knows you feel like giving up. She a pleasure to work with. Staff is wonderful! Very Helpful and friendly. I started off in a lot of pain and I was able to get back to normal activities and no pain in no time at all. I cannot say enough good things about Brookline Physical Therapy. They're the Best! John, what a good choice we made by coming to you! Your understanding, compassion, sincerity, and above all your therapeutic techinques got us to where we are today. The very best to you always! Maria was so thorough and encouraging in relating to treatment. I have RA and had hand surgery April 2 and today May 24th. I am able to use my right hand again and am very grateful to Jesus Christ for all your help here! Brookline is the best! I would recommend them to everyone. I have worked in the medical profession for 35 years and John is the most knowledgeable, professional, and compassionate therapist I have ever met. He explained everything to Brian at his level so that he would understand what was going to happen and be prepared. John updated me frequently on Brian's progress and treated both of us with respect. Lisa is terrific as well. She is pleasant and very organized as well as extremely efficient. She accommodated our schedule and always made us feel comfortable and welcome. Mr. John. Thank you for helping me recover. You and Miss Lisa are awesome! Thank you for getting me back to my life! Lisa and John are two of the nicest people I have met in the professional community. When you walk into their office you are always greeted with a warm friendly smile. The scheduling is suited to fit your needs in a facility that is bright, clean, and up to date. John is always calm and soothing. He makes you feel as though you are his only patient. His consultations are thorough and he has no problem explaining what is going on with you. His bedside manner is gentle but very firm with strong leadership and truth. Having been in physical therapy some years ago left me with a tainted view of what it was all about. Now having completed my therapy with Brookline- which is truly about rehabilitation, I have a whole new appreciation, understanding, and respect for the physical therapy community. If the need for physical therapy should ever arise again Brookline is where my family and I will go. I was experiencing dizziness and nausea during races and workouts before therapy. After 3 sessions of therapy I was able to improve my 6K time by over 30 seconds. I came to Brookline Physical Therapy with tendinitis in my foot and ankle that had been a problem for three years. After my initial treatment, I saw marked improvement and after my treatment was completed I can walk pain free, swelling free, and better than I have in years! The physical therapist was very patient and caring working with my mother who is ninety-one. Though his work and experience she is much stronger physically and mentally. The staff was very pleasant and easy to work with on scheduling appointment times. I have and will continue to refer friends, family, and anyone who needs physical therapy to Brookline Physical Therapy. 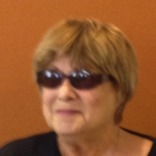 Lea was very thorough, understanding, knowledgeable, and patient in assisting me during my rehabilitation. I would recommend Lea to anyone for her dedication and commitment in getting me back to my daily life. I was in a bad car accident and suffered a pelvic fracture and a concussion. I saw four doctors and worked with six physical therapists over a course of two to three months. I can confidently say that John was top of the line and the best physical therapist I have ever worked with. He genuinely cared about getting me up and going and worked on exactly the areas I needed the most help with. The recovery was tough but working with him made things so much better- quickly. I am so thankful my doctor sent me to Brookline Physical Therapy for my shoulder condition. My therapist, John Esguerra is extremely personable and professional. He took time to explain all the different exercises I would be doing and taught me the correct use of all his gym machines. If I ever need physical therapy again, I will be sure to come back to Brookline. When my neurologist first told me that I would need physical therapy for my carpal tunnel and neck pain I was not pleased; however, I have to say, this has been a pleasant and enjoyable experience for me, I even looked forward to my visits. John took time to really find the root of my pain, I can now turn my head to look over my shoulders without pain and also use my computer without having to stop every five minutes to wait for the pain to ease. I can't say enough about Brookline. John and Lisa are very personable and professional, I feel that I've known them for years. I have also found a wonderful place here at Brookline to get my body in shape by joining Brookline's fitness program. Thanks to John and the staff at Brookline. I highly recommend to anyone that needs physical therapy. Keep up the good service! Lea- you have excellent knowledge in your area of expertise. May God Bless you, John and your son. John it was a good choice for me by coming to you and I am so thankful to receive care at Brookline Physical Therapy. I feel so much better! Thank you. Thank you. Best therapist ever! When I was referred to John Esguerra and Brookline by my doctor I was in terrible sciatic pain and couldn't even get out of my car without my left leg collapsing under me. Within a week I was pain free and after 3 weeks almost back to normal. In addition to the immediate relief to my lower back, John taught me exercises that I will use for life. He's the best! In addition to being highly educated and skilled in physical therapy John went out of his way to accommodate my schedule- you won't find another therapist who works the long hours that John does. I'd recommend John and Brookline to anyone. I am very satisfied with the improvement in my ankle in the last 4 weeks. Truly great! Since January 2012, my wife and I started working out again and losing weight. We are regulars at a local school track to walk and run, as well as going to the gym. In mid-April, while running, I tore my hamstring. After going to my regular physician, he sent me to Brookline. I really did not know what to expect from physical therapy. I spoke to John on the phone while setting up the appointment and he immediately put me at ease. He transferred me over to Lisa to set up the appointment and I was impressed how friendly everyone was. Once I started the therapy, it was apparent John's expertise in his field would truly help my recovery. For me, my therapy lasted about six weeks. It was with John's knowledge and guidance that I was able to succeed so quickly and quite possibly to avoid the surgery my physician had warned about if I did not recover properly. I was back to work in two weeks soon after. I never expected these results. My wife and I thank Brookline for my quick recovery so we can stay active together. Thank you all for a very pleasant atmosphere. I appreciate the professionalism and genuine care I received. I am amazed with the positive results I have had with my treatment program for my neck issues. I am glad that I took the time to learn proper posture and the most beneficial exercises to do to strengthen the muscles around the neck area. John is a caring, professional therapist and I appreciate all he has done for me. I want to thank you for giving me back my quality of life. No matter what the future brings for me you have shown me that there is a way. After 5 years in a wheelchair I am walking and it's great! This year I plan to go to my birthplace in N.C. mountains for the first time in 3 years and walk the trails and relax. Thanks to you! God bless you and your wife and good luck with everything you wish for. I've been going through doctor after doctor to try and figure out what was causing my severe pain in my arm and shoulder for two long years. Finally, this past year, I was lucky to find a doctor that knew exactly what was wrong… he performed my surgery and after my recovery he sent me to Brookline Physical Therapy to work with John. John was able to work me into a regimen that I was able to gain back some of my strength and range of motion. I am now continuing my therapy at home 2-3 times per week and I am feeling great! It's all thanks to John and the support from his staff. Lisa, the office manager is very friendly and accommodating. I am so pleased with my experience with Brookline Physical Therapy. Thanks John and Lisa so much!! My post-operative recovery was slow and painful until I met John and the wonderful people at Brookline. They took the time to really assess the cause of my pain and were able to pinpoint the underlying cause and developed a plan of care tailored just for me. The professional approach and state of the art studio together with the knowledge and experience of the people helped me turn a corner in my recovery. I cannot say enough positive things about my experience at Brookline. Thank you John, and the rest of the wonderful people at Brookline for everything you did for me. Very knowledgeable and supportive in rehabilitation. Very thorough in detail about each exercise technique. I was diagnosed with achilles tendinitis, however, that meant nothing to me. Pain and more pain in the heel area was the only thing that I knew about this condition. Then I came to Brookline Physical Therapy and met John Esguerra- the owner, and my physical therapist. I received fabulous treatment and John was meticulous in his explanation of what he was doing to my foot and why. After a month of therapy my heel feels fine and I no longer need therapy- Hurrah!! I am so grateful and know your experience at Brookline will be a productive one. Overall exceptional service! Would highly recommend this facility to anyone looking for physical therapy! Welcoming, friendly, caring and very attentive to patient care! John and Lea- very professional and caring- provide me with great therapy- would recommend to others to use for physical therapy. I walked into Brookline with lower back pain. It hurt just to sit down. Within 2 weeks they had me up and walking and sitting without pain. I am now able to work out again at the gym. John was great! Could not as for a better therapist. This is the perfect place to come. Everything is state of the art and you are treated like family. You would make a mistake if you picked someone else. The moment I spoke to John and Lisa I knew I could relax and learn. I was bent over so badly I could not carry my purse… With John's calming help and guidance I started getting stronger. I am so happy I found Brookline. I recommend it to anyone who has back problems or needs physical therapy for anything. They will have you walking straight! A muscle spasm in my back was so painful that I was unable to function in normal daily activities. After trying various treatments, my doctor sent me to Brookline for physical therapy. I am so thankful that she did. Lisa, the friendly and caring office manager, put my anxieties to rest when I made contact with the office at Brookline. John, the physical therapist, worked with me to ease the pain and to educate me. He taught me how to safely use the equipment in my community's exercise room, and he gave me some exercises to do at home to strengthen my back muscles in order to avoid future injuries. Before I went to Brookline, I thought I might have to live with the pain. But thankfully, that pain is gone and my back may be more agile now than it had before the injury. I have been attending the Brookline Physical Therapy center for two months in order to recover from a knee injury incurred while running. Through the sessions I have had at this facility, I have managed to return to my previous routine and I have identified factors which originally caused the issues with my knee. The atmosphere at the clinic was very professional and positive and all the facilities were excellently cleaned and maintained. I would suggest it to anyone in need of physical therapy. A truly transforming experience that took away pain and stiffness while also building the strength needed to manage my condition. I appreciate Brookline for all they have done. I am more than happy with the care I received. John treated me and the other patients like friends instead of just patients. He was very helpful and informative and this will be the only place I will come if I ever get injured again :) . John and Lisa are both beautiful people and helped me physically and mentally. I'll never forget them. I walked in unhappy and walked out feeling wonderful! John is great! He takes the time and goes the extra mile to make sure you're feeling good. Lisa is also great! Very friendly and flexible when setting times for your session. I would recommend Brookline Physical Therapy. It's A GREAT PLACE! I came in with a torn muscle in my back and received great treatment. I actually had a lot of back problems going back to my teenage years and thanks to John, we have worked at improving my posture and stiffness in my back. The therapy not only has improved my physical condition, it has also very much helped my posture. I am much stronger in my everyday life physically and my strength is so much more when I play tennis. THANK YOU! I would recommend Brookline Physical Therapy. Friendly, effective and phenomenal place!! Brookline has been the main reason that I can now enjoy my life and recreation time. Upon starting physical therapy several weeks ago I was in extreme pain in my right ankle. The treatment received was effective and appropriate for my diagnosis. Both John and Lisa are very customer centric and make their patients feel at ease and comfortable at all the appointments. John is very up to date on his treatment sessions and eases patients into the treatment regime. The facility is clean and reflects a friendly environment. Now that I'm released and without pain, I feel like I'm leaving 2 friends behind. John and Lisa. You're the Best! Always total attention during my sessions. Attention to detail and my response to treatment. During the weeks of treatment I felt my neck muscles relaxing and had much less pain and very little headaches as a result. My therapist, John, is very knowledgeable and caring. Excellent facility! Very helpful during therapy sessions and after with recommended exercises and instructions. Staff and therapist are excellent! Facility also. I had a great experience with the entire Brookline staff. I found everyone involved in the healing process to be very professional, courteous, and full of knowledge. For months I suffered from back and neck pains. I could not stand straight or hold my neck erect. My primary care physician recommended I contact Brookline Physical Therapy and speak to John Esguerra, MSPT. I called as suggested and spoke with Lisa, sorry I don't recall her last name, and I assume she is the Office Manager. From the moment Lisa answered my phone call she was pleasant and very helpful. During my first appointment with John Esguerra he asked many questions about my life to determine what I do exactly. I felt it was important that he know as much about me as possible. This enabled him to prescribe the correct treatment and exercise I would need. He took a great interest in me and my condition. This testimonial has a happy ending. I now stand straight and hold my head erect with not pain. If you ever need physical therapy and don't go to Brookline to see John Esguerra, you are making a major mistake. I am so pleased with my progress! I was really hurting bad, bearing weight on my left ankle, sitting, sleeping. I could never get comfortable. After therapy, I am mostly pain free and now walking 5-6 miles at a time, which I was afraid I wouldn't be able to do again. I am off to hike in Alaska!! John and his staff are great. I've seen results in my therapy after the first session. I would highly recommend him for any therapy needs! John and Lisa are fabulous! Patients are welcomed with a smile and a warm greeting. John is an experienced therapist and very encouraging. I am extremely satisfied and feel better after coming here for treatments. John and his staff are professional and personal. They meet your needs at your level of physical ability and advance the exercises to strengthen the weakened area.